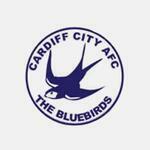 Cardiff City Football Forum | Cardiff City FC Messageboard • View topic - SONG FOR CAMARASA ? There's a challenge for all you songwriter's. Re: SONG FOR CAMARASA ? Du Du Du Du Du Camarasa. Haha bloody hell thats a tough one! Sing the na, na na na na na bit on Crocodile Rock and then shout Camarasa at the end. For those who don't know it, go to 2.12, personaly think it would sound decent as a football chant.